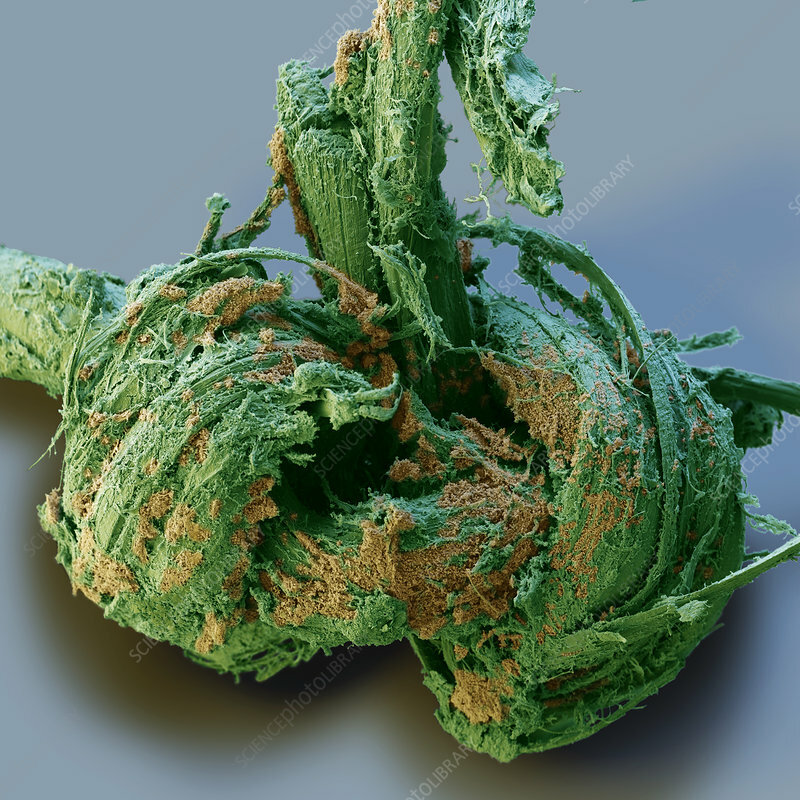 Surgical thread covered with white blood cells, coloured scanning electron micrograph (SEM). The cells (brown) form part of the body's immune defence, recognising and attacking foreign bodies. The thread (green) was removed from a patient two weeks after it was used to stitch together a wound, and the image was taken immediately afterwards. Those parts which were inside the body were densely covered with white blood cells, which had recognised the thread as foreign and attacked it. Magnification: x43 at 6x7cm size.